Centre for Public Policy Research hosted “Semester At Sea” students for the fourth time. Four different sessions of lectures for three batches were held on 9th and 14th of March 2014. Almost 80 students guided by Prof. Henchman, Prof. Chandrasekhar Ranade and Prof. Janice Stockard attended the sessions. The speakers were Prof. Sibi K.I (Associate professor Sacred Heart College), Dr. D Dhanuraj(Chairman, CPPR) and Dr. Mathew A on the topics “Marriage and Family across cultures and histories: -Practices in Kerala”, “Genetically Modified Crops: – Policy Debate in India”, “City Government” and “Communal Violence and State politics in Kerala”. It was an event which got the ball rolling. Students were excited to explore the information about the systems in India. Facts about the matriarchal system and bizarre marriage practices prevailed in Kerala astonished the students. Even the inefficiency of city government in India was odd to them. Analysis of religion as a political element piloted to a much serious discussion and debate. Students were beaming from ear to ear, because they got an insight of India as a whole from the sessions. The ship MV Explorer arrived at Cochin along with 500 students and around 200 professors as a part of “Semester At Sea” academic program where they learn through a world around voyage conducted by Virginia University. It is a world renowned study program founded in 1963 open to students of all majors emphasizing comparative academic examination, hands-on field experiences, and meaningful engagement in the global community managed by the Institute for Shipboard Education in Charlottesville, Virginia. A wide variety of courses ranging 20-25 disciplines is incorporated in SAS program. A voyage throughout the world is meant for a comparative study under different areas. Students from 15 countries selected from almost 300 colleges on the basis of their proficiency are the participants. 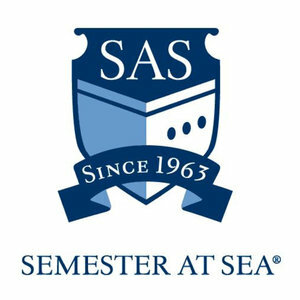 Throughout the history of the program nearly 55,000 undergraduate students from more than 1500 colleges and universities have participated in Semester at sea.